This article continues my blog series about the technology, world, plot, characters, and other aspects of Beyond Cloud Nine. In this post (part one of two), I'll be covering the realities of real space flight and how fictional space battles should take these factors into account. In the second part (to be posted later), I'll discuss the technology behind the star fighter planes and how that tech helps the fighters cope with these realities. According to the unofficial bylaws of hard science fiction, any discussion of orbital conflict has to begin by recognizing that most popular sci-fi gets it wrong. As much as I loved Star Trek: Into Darkness, I rolled my eyes when the Enterprise fell out of lunar orbit toward the Earth, and you should understand why after reading this article. The laws of orbital mechanics, otherwise known as astrodynamics, govern motion in space, and various fundamental properties of space lead to orbital results we Earth dwellers might not expect. Let's take a look at the major differences between air travel and space travel. Stick around. It'll be fun, and you might learn something. Changing Direction: Spacecraft don't bank like airplanes because there's no atmosphere pressing against their fuselages and little-to-no gravity pulling on them. The only significant force acting on a spacecraft is the acceleration generated by the craft itself and that of nearby celestial bodies. Thus, a star fighter can change directions abruptly along any of three axes of motion (x, y, z). In other words, spacecraft zigzag or dart at acute angles as opposed to turning in gentle arcs. Velocity: Speeds are much higher in space. The fastest most objects travel in Earth's atmosphere is a few thousand kilometers per hour or miles per hour, which sounds like a lot but isn't compared to the universal speed limit of 300,000 kilometers per second (the speed of light). In space, velocity is typically measured in units of distance per second, not hours, meaning speeds are much greater in space. To put this into perspective, it takes a little less than eight kilometers per second--almost 29,000 kilometers per hour--to break free of Earth's gravity and achieve orbit. Once you reach orbit, you stay at that speed (ignoring drag and other factors for the moment). Orbital speeds decrease in higher orbit, but for practical purposes, the slowest anything moves in space is a few kilometers per second. At those speeds, slowing down or reversing direction takes either a lot of thrust/energy/fuel or a lot of time. What's more, speed is relative to your frame of reference. A spacecraft in Earth orbit moves at a certain speed with respect to the planet, but it's moving at a different (and typically higher) speed with respect to the sun. Nothing is truly stationary in the universe. When you're standing "still" on the Earth's surface, the Earth is not only spinning but also traveling around the sun. The sun, in turn, is orbiting the black hole at the center of the galaxy, and the galaxy is flying away from the center of the universe (and has been since the big bang). Acceleration: In order to get up to speed, a spacecraft must accelerate, but accelerating by multiple kilometers per second takes a long time unless the craft employs propulsion technology far more powerful than what's available today. Plus, the faster you go, the more fuel it takes to go faster still. In order to pack the most punch, modern spacecraft employ chemically powered rockets, but solid or liquid chemical rocket fuel is heavy and runs out quickly. Thus, we need much lighter and more efficient power sources like nuclear power (fission or fusion) or antimatter to speed up quickly. Note that solar power doesn't provide anywhere near enough energy to accelerate to any significant degree. Even when better propulsion is developed someday, the human body still can't handle more than a handful of gees of acceleration force. This means that if you're developing a manned spacecraft, the fragile human body limits how fast you can speed up regardless of the engine's capabilities. Distance: The distances involved are also much greater in space. The circumference of the Earth is about 25,000 miles or 40,000 kilometers, which seems far until you consider that most natural objects in the solar system are millions or billions of kilometers apart. Remember the scene from Star Trek: Into Darkness I mentioned at the beginning? The Earth and the Moon are almost 240,000 miles (385,000 km) apart. How long do you think it takes to fall that far? Not a few minutes as portrayed in the movie. It took Apollo astronauts over three days to travel to the moon, so that Star Trek scene should be about three days long. I believe the Enterprise can traverse that distance much faster with its so-called impulse drive, but not by falling. And speaking of falling, why would the ship fall? The moon doesn't fall. But back on topic. Space is a vast place, and the amount of matter in it is but a minuscule fraction of the emptiness (as a side note, the blackness of space isn't really empty, but that's a whole different topic). For example, whenever you see or read about a space ship dodging rocks left and right in an asteroid belt, it's bogus. Asteroids in a belt are millions of kilometers apart. If you're near a given asteroid, you won't be able to see any of the others in the belt with the naked eye. On the other hand, rocks are much closer together in planetary ring systems, so rings are a better setting for space battles than asteroid belts. Considering distance, speed, and acceleration together, unless you can quickly accelerate to high velocity--two things beyond modern technology--it takes months or years to travel between planets in the solar system. If a star fighter can't reach an enemy craft quickly, that enemy will see its adversary coming long before they meet. 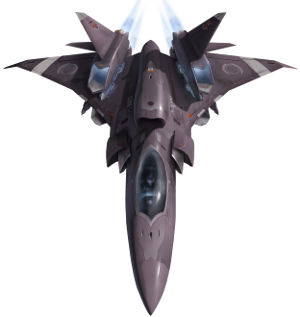 If the enemy's engines have equal capability, the enemy will be long gone before the star fighter gets there. Along the same lines, unless our fighter's missiles and guns are significantly faster than the enemy spacecraft, there's no hope of blasting the target in time. Today, the best you can do is load a space missile with chemical rocket fuel, but a smaller missile has room for far less fuel than a larger spacecraft, so the missile can't even go as fast as the spacecraft. Due to the vast distances in space, choosing the correct course and angle toward your destination is critical early on in the process of getting there. If you point your spacecraft in the right direction, you'll only need minor course corrections as you go. But if you veer too far off course, you might not have enough fuel (or time left in your life) to get back on track. The thought is that these vast distances will prevent dog fights in close quarters like we see in Top Gun or old war movies. Dog fights are already becoming a rare occurrence in modern aerial combat. Using satellite uplinks, fifth generation fighter planes like the F-22 Raptor are capable of blasting targets tens or miles away or more. In other words, your enemy is dead long before he ever sees you coming. Launch/Mass: One of the biggest limitations placed on modern spacecraft is that of mass. Due to the strength of the Earth's gravity, a lot of energy is required to launch a unit of mass into orbit. For some perspective, it costs a minimum of 2000 US dollars to launch a one-pound (2.2 kg) loaf of bread into orbit. Scale that up to the thousands of pounds or kilograms that a spacecraft weighs, and you can see why things get pricey. Someone (I forget who) once said that once you reach Earth orbit, you're halfway to anywhere in the solar system. In terms of energy/fuel (not time), that's very true. As long as it takes so much fuel and money to launch so little mass into orbit, space travel will remain an expensive endeavor pursued only by governments and large companies. Gravity/Orbit: With little or no gravity in space (the term microgravity is often used because there is a slight amount of gravity in space but far less than on Earth), debris and other objects don't fall toward any ground. Debris hangs around in space, and debris from an explosion shoots out at high speed. Shrapnel moving at multiple kilometers per second can be as damaging as any projectile fired from a gun. When in the vicinity of a planet, a spacecraft is under the influence of the planet's gravity. A lot of energy and speed in the form of thrust is required to break free of the world's grasp, and the planet is rotating at significant speed. Modern spacecraft don't have the fuel or thrust force necessary to counteract the planet's rotational speed and reverse orbital direction. What this means is that if your spacecraft is trying to dock with the International Space Station and overshoots it by too much, the craft will need to go all the way around the Earth to try again. It won't be able to back up. As a matter of fact, modern spacecraft are so fuel- and thrust-limited that they sometimes need to perform gravity assists to get where they're going. Spacecraft will fly by a planet and use its gravity to provide an extra push, effectively sling-shotting the craft away. Here's one of the most counter-intuitive fun facts about all of orbital motion. Consider for a moment one spacecraft chasing after another in Earth orbit. If the chaser wants to catch up to the target craft, should the chaser increase or decrease its thrust? Conventional wisdom would argue that the chaser should increase thrust to speed up and close the distance, but this is not true in orbit. Speeds are higher in lower orbit and slower in higher orbit. Thus, the chaser craft needs to reduce thrust (apply thrust in the opposite direction of motion, really) in order to move into a lower orbit. This will speed up the chaser and allow it o catch up to the target. Consider your mind blown. Sound (Or Lack Thereof): When reactors explode in space or a craft goes whooshing past another, none of it makes any noise because sound waves must propagate through a medium like air. Space is a near-vacuum and therefore silent. I think awareness of this fact has risen over the years, so I won't spend any more time on it. Just keep in mind that all those exciting sound effects in Hollywood space battles would be inaudible in real life. I could keep going on and on about other topics like radiation, but that'll do for now. The point is that space battles need to take all these things into account and should therefore look and feel different than aerial battles. In part two, I'll dive into how the Starthroats work and why the space battles in BC9 are more realistic than many others.